One of the optical metrology tools used to take measurements on the ITER site. 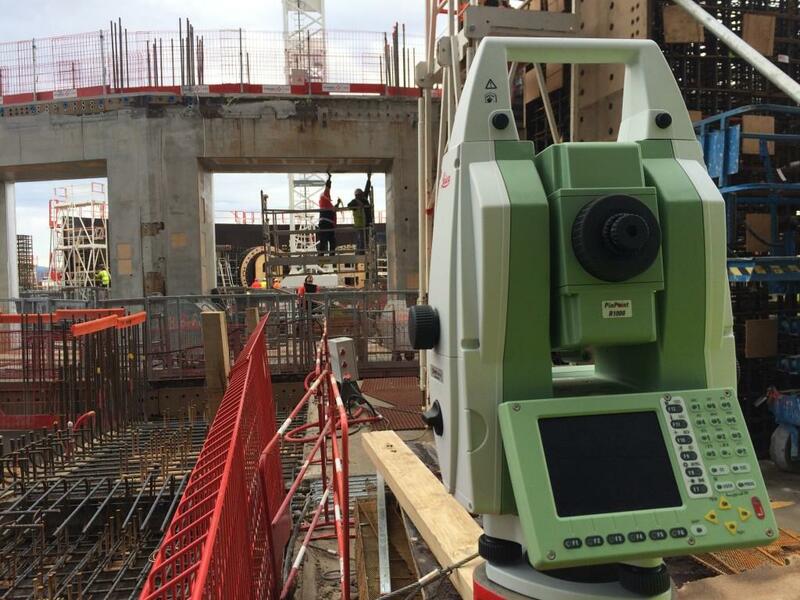 As the buildings rise, metrology teams carry out the measurements that provide the "as built" footprint to ITER teams. In this illustration, the field of view for each camera is modelled and used to identify measurable targets. This array of cameras is repeated 18 times toroidially around the ITER vacuum vessel. 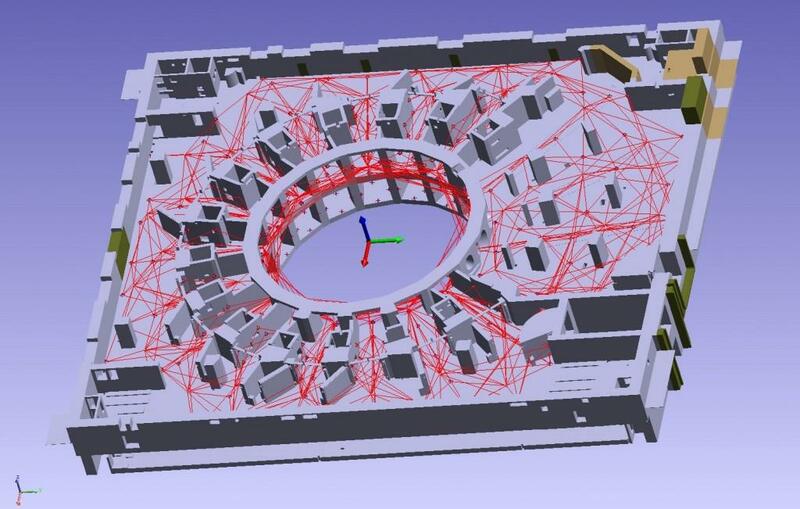 The ITER pit survey network will consist of approximately 220 target nests mounted to the bioshield wall at the port cell openings. Metrology instruments mounted on dedicated stands, within the port cells, will extend through the cryostat ports into the pit to measure and align tokamak components with respect to this network. 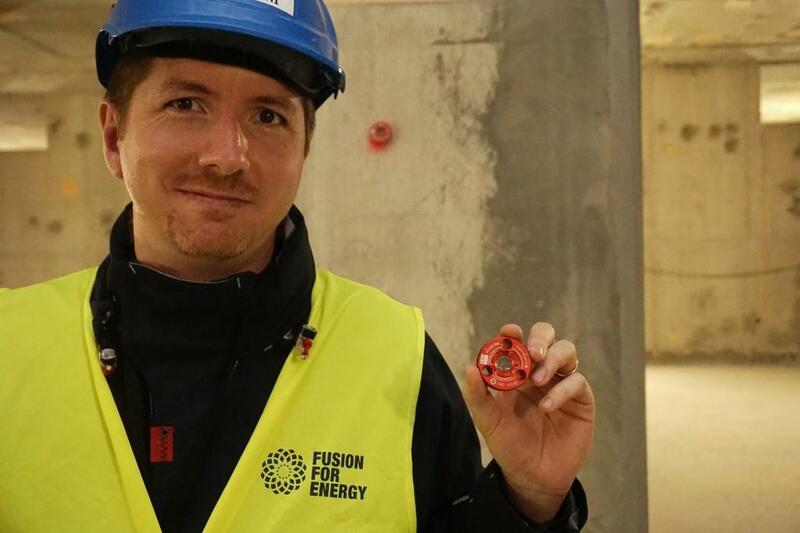 Lines of sight have been carefully studied to ensure that the network remains available throughout construction of the principle tokamak components. Once assembly is complete, a survey will be carried out to determine the as-built position of the interfaces for in-vessel components. 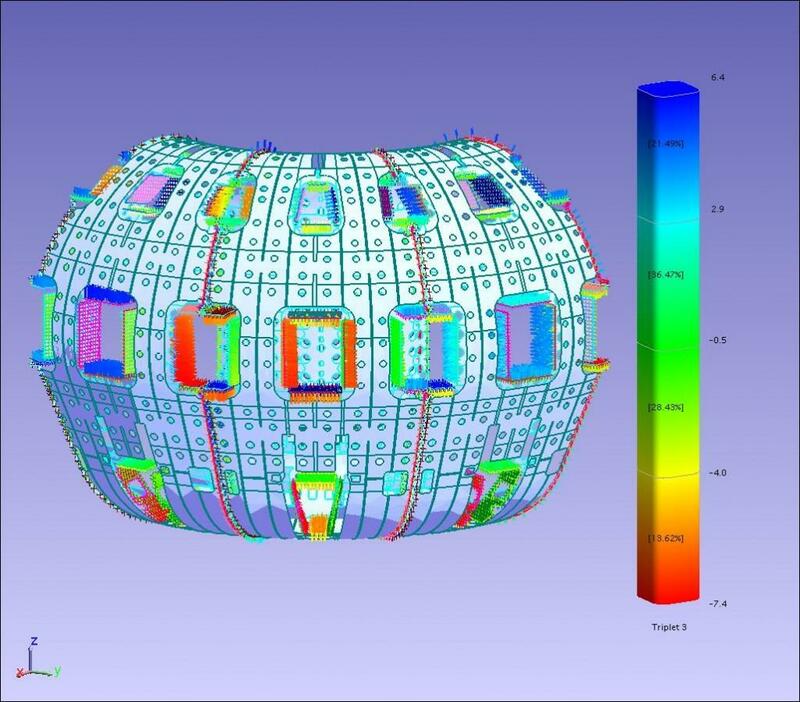 Using software tools developed specifically for ITER, a survey simulation was carried out to determine achievable accuracy. 9,000 measurement targets were simulated using the CAD file as a template, to represent targeting the complete vacuum vessel. Measurement geometry for the survey of the interface components of an inboard blanket shield module. 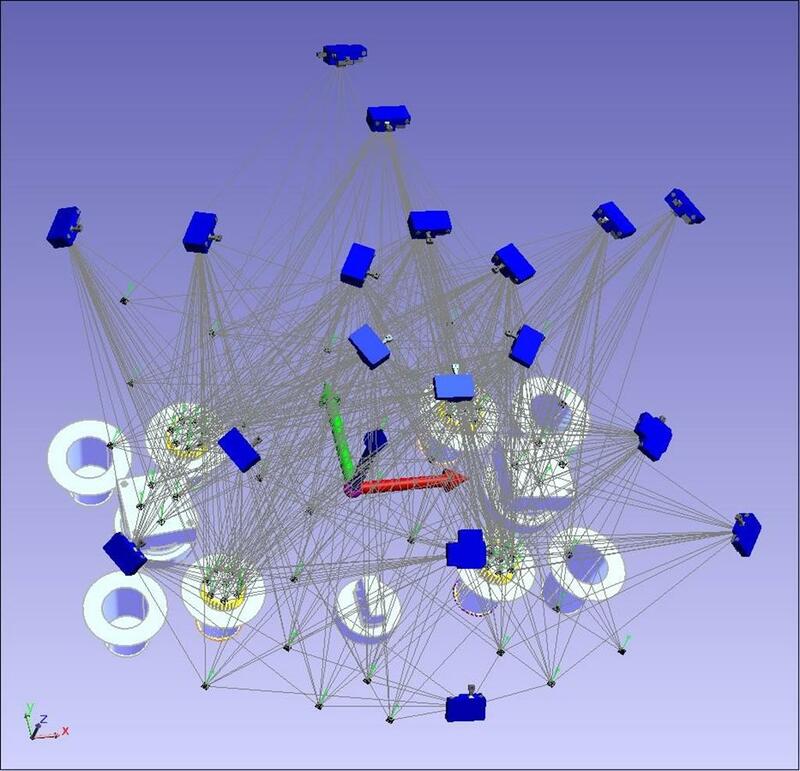 Photogrammetry simulation is used to predict the measurement uncertainty. 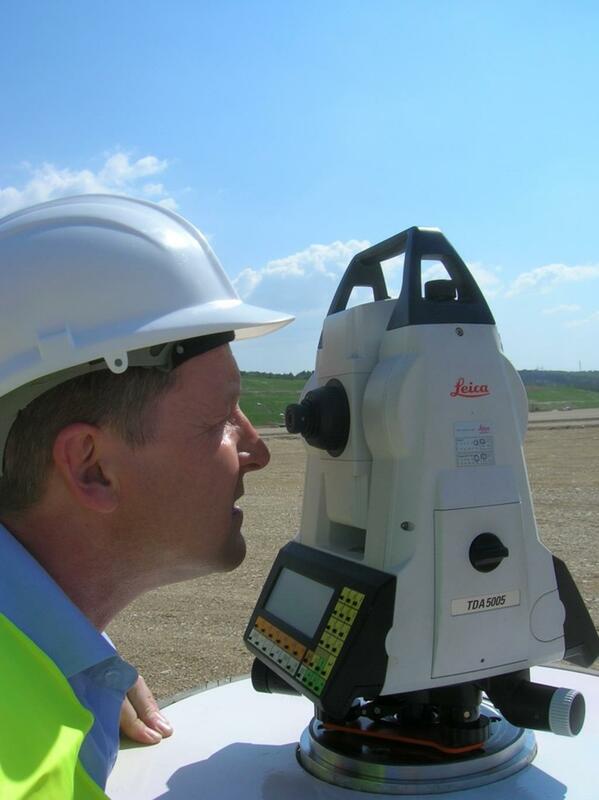 The first survey of the ITER Primary Survey Network, as well as subsequent monitoring surveys, was carried out using a combination of terrestrial measurements (pictured here with a Leica Total station) combined with differential GPS and levelling measurements. An accuracy of approximately 1 mm was achieved for these surveys. The vacuum vessel sectors shall be aligned and welded as pairs and then triplets. The 3 triplets will then be aligned and simultaneously welded together. The as-built geometry of the various sectors shall be dimensionally controlled throughout this process to ensure that the required tolerances are maintained. This image, produced through a virtual assembly process, indicates how manufacturing and assembly variation can be visually represented as compared with the CAD model. Alignment of the vacuum vessel sectors will require a survey from multiple instruments to measure their large volume and to minimize measurement uncertainty. 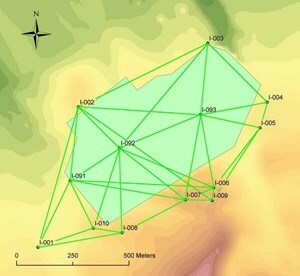 This image shows measurements from five laser tracker stations with lines of sight indicated to both in-vessel and ex-vessel fiducial target points. Metrology activities will contribute significantly to the success of the assembly operations for the ITER Tokamak. Accurate dimensional control will be applied from component manufacture right through the supply chain to final assembly at the ITER site. 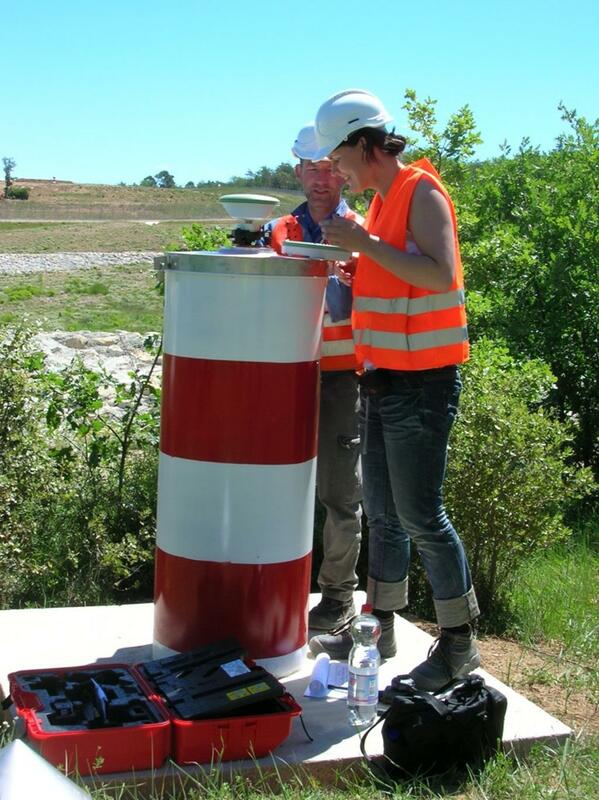 All measurement tasks require a fixed reference base (or datum) from which measurements can be made and calculated. For large-volume metrology applications, the reference base typically takes the form of a survey network that consists of a collection of target "nests" and/or instrument stations that have known geometry and uncertainty. 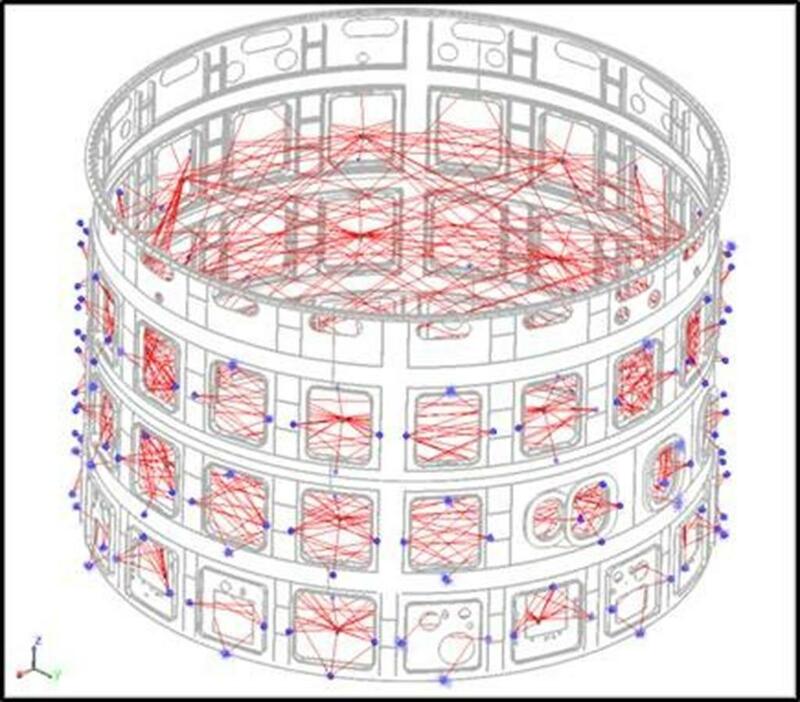 The survey networks for ITER will cover the whole of the site, providing a global coordinate matrix for alignment and dimensional control. The accuracy requirements for each network vary according to the alignment tasks for which they are designed. 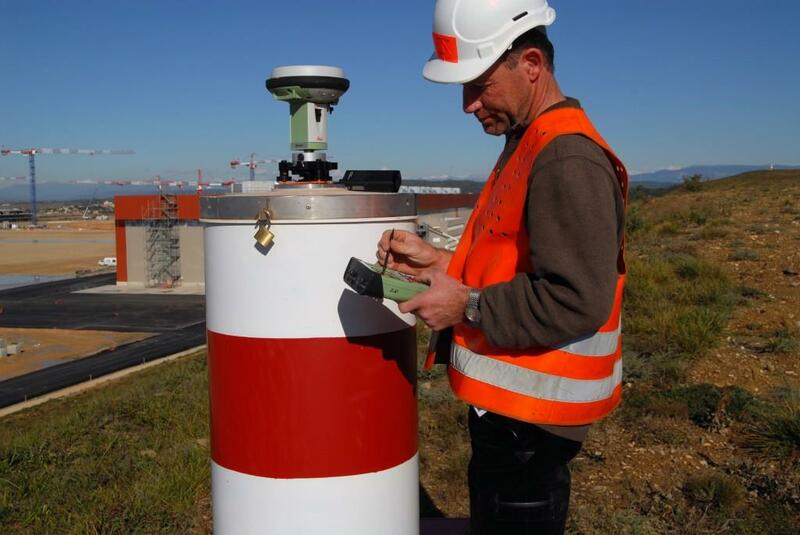 The primary survey network for ITER was installed and measured in 2010, and now provides a precise and accurate datum reference for construction of the ITER buildings and subsequent survey networks that will be added within the buildings themselves. During machine assembly, the environment within the various constructions sites will become increasingly congested. This constraint, together with the exacting alignment requirements for the majority of the major ITER systems, means that the metrology processes need to be carefully considered and qualified. 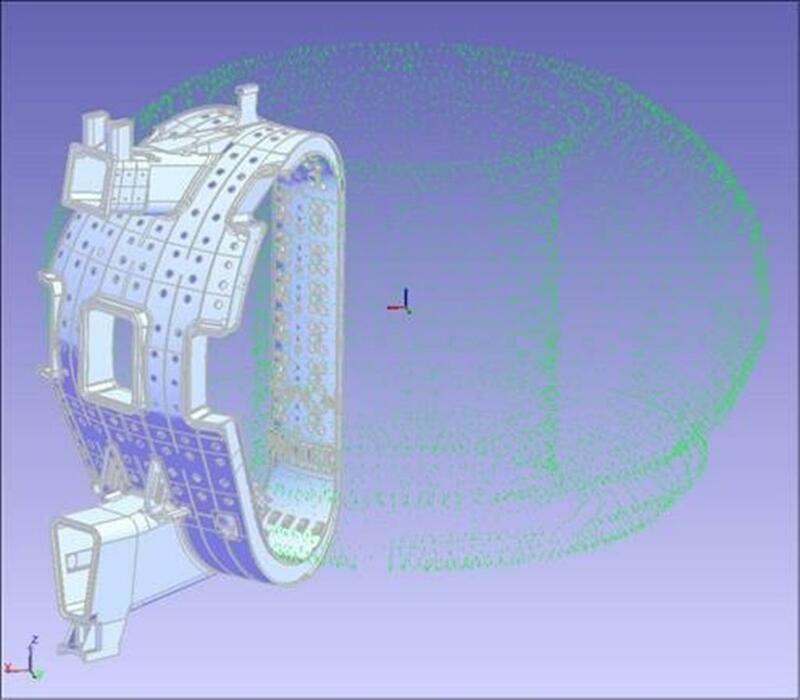 A wide range of metrology systems will be used during the assembly of the ITER machine such as laser trackers, total stations and photogrammetry, which will interface with dedicated software packages and measurement plans specific to the ITER requirements. The amount of measurement data generated during machine assembly will be immense. 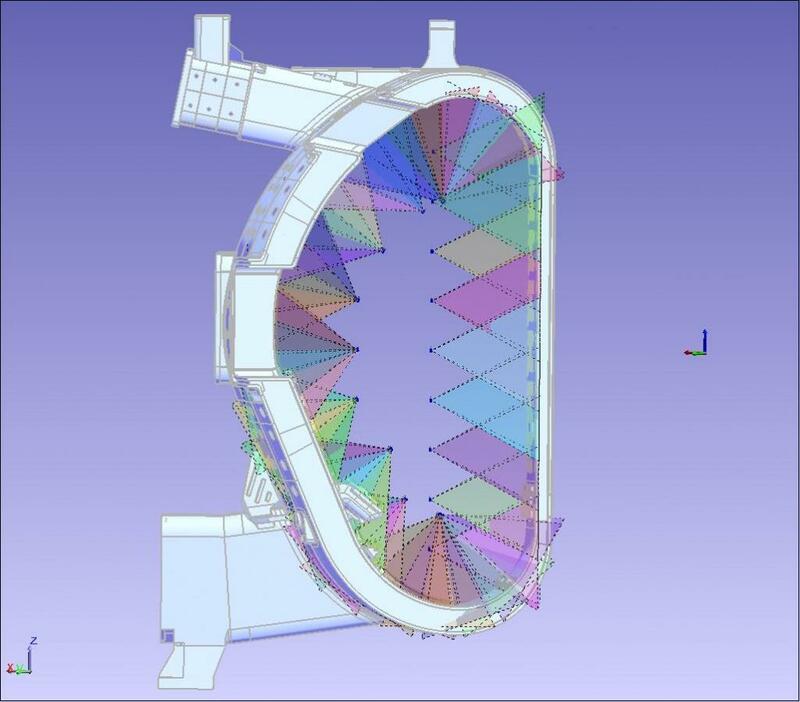 As a single example, the assembly of the blanket modules inside the vessel will require a survey of approximately 4,400 components; each one will need to be individually customized to deliver the required alignment. Optimization algorithms will be used to achieve the best possible configuration for machine operation by analyzing "as-built" geometry at each stage of the assembly and by modifying the alignment criteria to suit. This is especially important when defining the as-built magnetic axis of the machine and the subsequent alignment of components aligned to it. 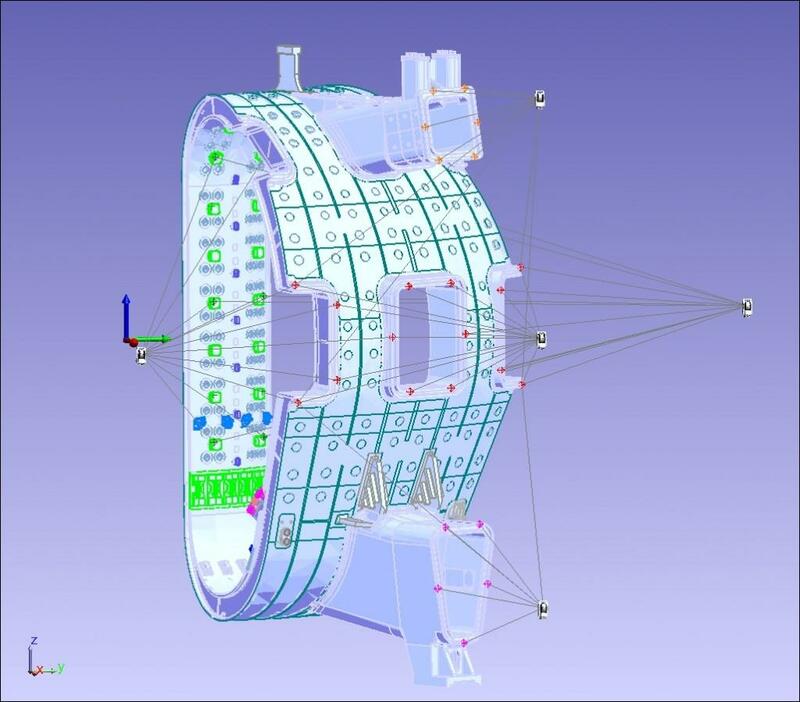 During the assembly phase and beyond, metrology processes will ensure that the machine and its supporting systems are dimensionally compliant for the successful operation of the ITER machine.